No blending chore is too tough for the Connoisseur 825. Program Plus provides 30 pre-programmed blend profiles available to you with a touch of a key. Select the blend profiles best suited to your needs and assign them to the keypad. Smoothies, frozen coffees, frappees are made perfectly everytime. No more hassles with the timers and buttons! 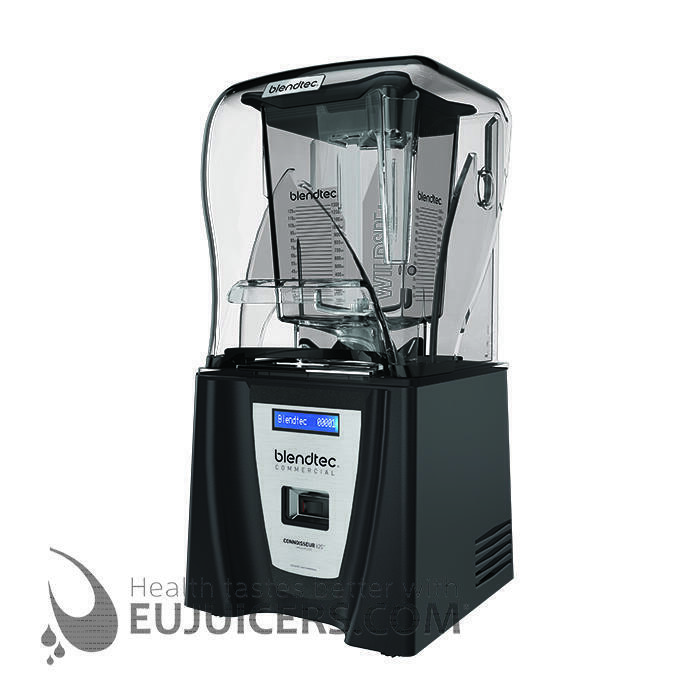 The new Q-Series sound reduction technology gives a reduction of 10 decibels, nearly half of the audible sound associated with the normal blender operations. The new design also has a more durable hinge design that also reduces the overhead clearance space needed by over 20cm.